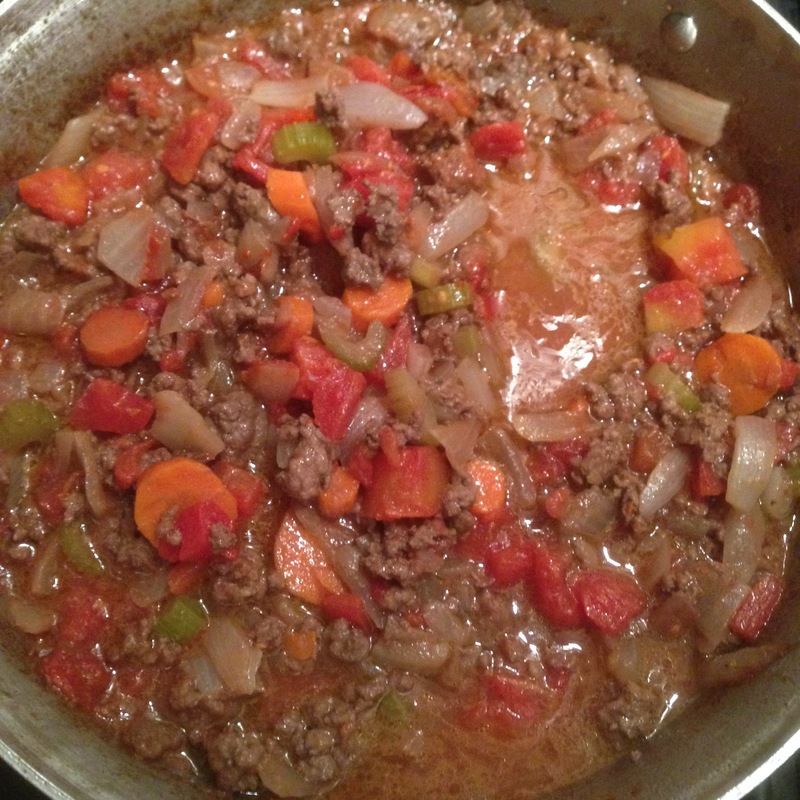 I love the smell of bolognese simmering away in the kitchen. It’s also one of my ultimate comfort foods, so I had to make a batch this week. To start, heat your oil and cook the onion, celery, carrot, and garlic for about 10 minutes. 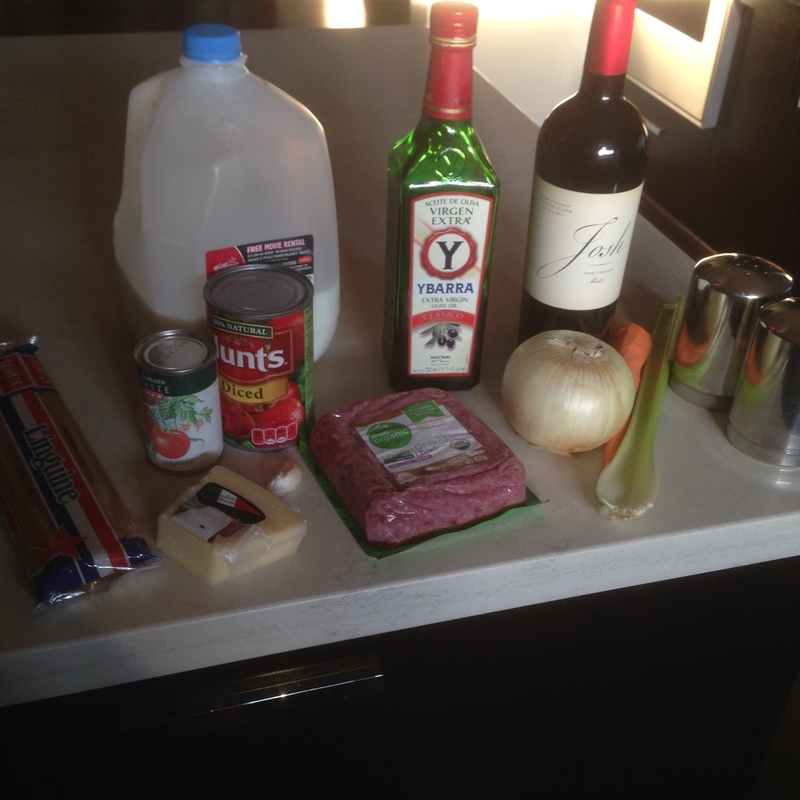 Add the ground beef and cook until it browns.Next, add your wine and let it reduce. Then, add the milk and let most of it evaporate off. Stir in the tomatoes and tomato paste. Season with salt and pepper to taste. Let it simmer on a low heat for at least 45 minutes, but, honestly, the longer, the better. It can probably cook for up to 3 hours easily. The flavors get more and more developed as everything cooks down. As the sauce simmers, cook up a package of pasta. Serve together, topping with parmesan and fresh basil, if desired. The sauce is so rich and lovely. If you have the time to let the sauce come together, it’s such a treat. Yum! Ooh!! Like this, but I wondered why the milk? I normally blend the celery and carrots-It makes for a sweet finish on the palate. In fact this is a little bit more like Ragu, than Bolognese. 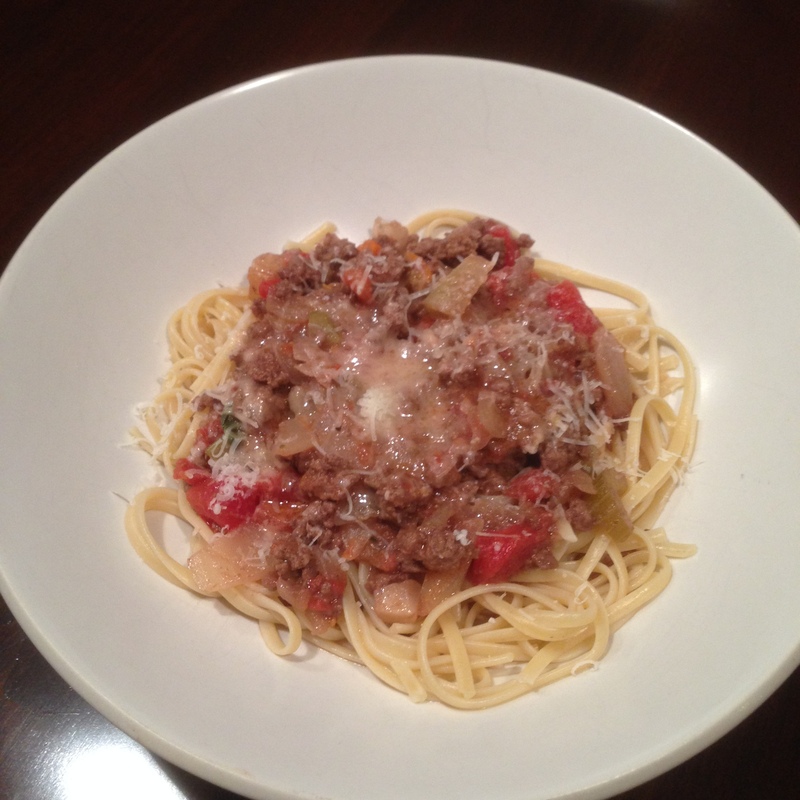 A lot of classical bolognese recipes actually call for a dash of milk or cream to lighten color and deepen flavor. Blending the vegetables sounds like a great idea! I’m pretty sure bolognese is a variation of ragu, just with less tomato in the base. Probably, and it uses Tagliatelle/Pappadelle, instead of Spaghetti! Not sure about the milk still, but the slow cooking of the sauce does wonders for the taste. I add about half a bottle of booze for mine! Sometimes chilli goes in and some nutmeg!